Our tenants are the reason we exist. We provide homes to families and individuals who might otherwise not have one. 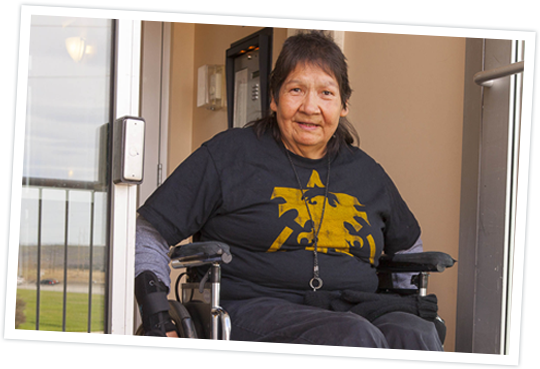 Our tenants come from a variety of backgrounds and experiences, including people living with mental health challenges, brain injuries and physical disabilities as well as individuals and families living below the poverty line. Our goal is to ensure our tenants can enjoy a home free of judgment, full of hope and surrounded by a community of mutual respect and support. Our properties are a long-term solution: our average tenancy is over six years and our longest tenancy more than 31 years. This is a reflection of our commitment as an organization to create sustainable, welcoming and permanent homes for those in need in our community. Prospective tenants come to us by applying directly to one of more than 30 referring partner agencies. The agency then contacts us to begin the application process. Our referring partners conduct an initial client assessment and upon referral, we begin our evaluation process. Once an application has been accepted, tenants enter into a lease agreement varying in duration from three months to one year. The referring agency is kept up-to-date regarding any issues that may arise involving the tenant, which allows both Horizon Housing and the tenant to resolve the issue in the best possible way. Our average rent for a one bedroom apartment is $486, which is 54% lower than the average market rent for a one bedroom in Calgary. Tenancy is governed by the Alberta Residential Tenancy Act (RTA), which regulates the landlord and tenant relationship and any legal matters within that relationship.